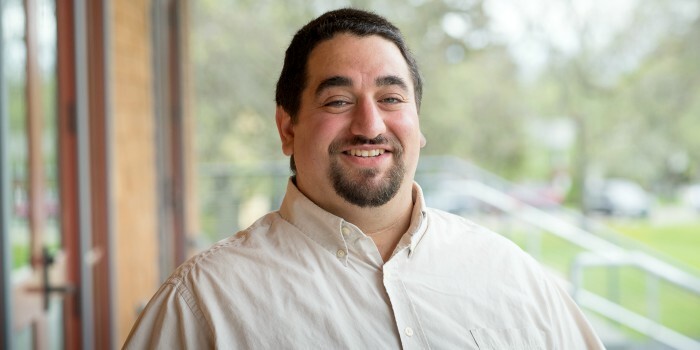 Dr. Eyal Amiel performed his postdoctoral training at the Trudeau Institute in Saranac Lake, NY prior to joining the faculty of the Department of Biomedical and Health Sciences as an assistant professor in 2013. Dr. Amiel is committed to working with undergraduate students both in the classroom and in the laboratory, and enjoys training students in scientific research. The study of inflammation, the specific activation of immune cells in response to pathogenic or toxic stimuli, is fundamentally important to understanding how the body neutralizes infections and combats chronic inflammatory stress. Research in the Amiel Laboratory focuses on studying the basic molecular mechanisms regulating cellular immune activation with the long-term goal of discovering new therapeutic approaches to manipulate immune responses to better meet the needs of immune-related clinical challenges. In the field of immunology, there is a growing appreciation of the importance of how metabolic changes in immune cells shape the types of immune responses that these cells perform. Of particular interest is the notion that manipulation of cellular metabolism can dramatically influence the type and magnitude of pathogen-specific immune responses. The primary objective of our research proposal is to identify novel mechanisms of molecular control of cellular metabolism and to determine how these influence the activation and immune-generating potential of dendritic cells (DCs). DCs are immune cells that are important regulators of inflammation and also possess a vital function in initiating adaptive immune responses via their ability to acquire and present antigens to T lymphocytes. Prior to activation, DCs exist in a relatively quiescent metabolic state. Upon activation, DCs undergo a process of maturation that is accompanied by a profound metabolic switch in which they exhibit reduced mitochondrial function and up-regulate aerobic glycolysis. Our work focuses on elucidating some of the mechanisms responsible for inducing this metabolic switch and how these changes in DC metabolism influence the immune activation of these cells. The Amiel Laboratory uses a diverse investigative approach that includes cell biology, molecular, and biochemical approaches to investigate how metabolic signals control immune activation and function of dendritic cells. Amiel E, Everts B, Pearce EJ. mTOR inhibition extends Dendritic Cell lifespan by attenuating TLR-mediated iNOS expression and subsequent metabolic changes. J Immunol. 2014 Sep 15;193(6):2821-30. doi: 10.4049/jimmunol.1302498. Everts B, Amiel E, Huang SC, Smith AM, Chang CH, Lam WY, Redmann V, Freitas TC, Blagih J, van der Windt GJ, Artyomov MN, Jones RG, Pearce EL, Pearce EJ. TLR-driven early glycolytic reprogramming via the kinases TBK1-IKKɛ supports the anabolic demands of dendritic cell activation. Nat Immunol. 2014 Apr;15(4):323-32. doi: 10.1038/ni.2833. Everts B, Amiel E, van der Wint GJW, Freitas TF, Chott R, Yarasheski KE, Pearce EL, Pearce EJ. Commitment to Glycolysis Sustains Survival of Nitric Oxide-producing Inflammatory Dendritic Cells. Blood. 2012 Aug 16;120(7):1422-31.